This article was written on 2. 8., 2017, and is filled under News, Schedule~スケジュール, Transformation Tools. Life Orientation Workshop 1 (LOW1), the first in the series of iExpansion workshops, is coming back once again in September. This time, the workshop is presented by Bio Magazine. LOW1 is based on the information provided by Christopher Currell (Hodosology). The workshop orients the spirit as to who he is, the purpose of life, and the basics of the principals of interaction in the physical universe. It is a Quick Start Guide for the spirit, full of helpful information. This 2 day workshop will lay the foundation for the rest of the series. I have some important questions for you! ♦ Know and understand the principles of life? ♦ Even be able to determine what is happening in your life? ♦ Understand why things happen to you in a certain way? ♦ … Be able to improve them so it will not occur anymore? ♦ Be able to help someone? ♦ Be aware of what is going on around you and be able to change the situation for the better? LIFE CAN BE SO SIMPLE! 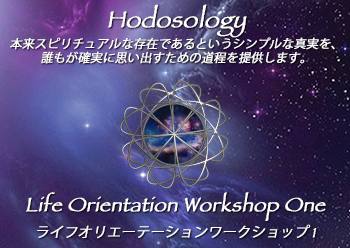 The Life Orientation Workshop One (LOW1) is the best foundation workshop you can do. You will study a lot of valuable data, learn about life, obtain a multitude of useful tips, and learn to communicate better. I welcome you to join us at the Life Orientation Workshop One! © 2017 Currell Effect – カレルエフェクト. All Rights Reserved.